At long last, SHADOW KINGDOM RECORDS presents the ultimate reissue of one of the 80’s rarest metal records, ANGEL OF MERCY‘s lone album, The Avatar. Prized by many collectors as one of American metal’s Holy Grails and as a true cult item, The Avatar is now being released in a 2CD version which includes the original album in its entirety plus a second disc compiling rare recording sessions from 1983 and 1992, an unreleased track from The Avatar sessions and an old track re-recorded in 2015! 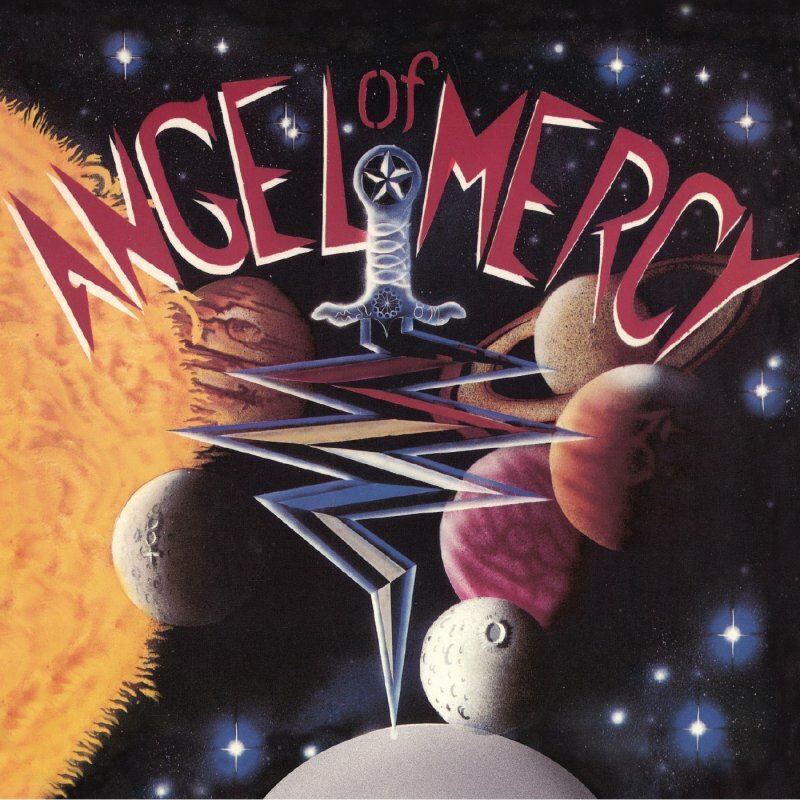 The story of Angel Of Mercy is a sparse but mysterious one with the band originally forming in 1980 at the hands of vocalist/guitarist David St.James. Eventually, they recorded just the one album, The Avatar, which was self-released in 1987 on vinyl as a private pressing and was utilized more as a sales pitch to potential record labels than anything else. Alas, a label deal never came and Angel Of Mercy faded into obscurity. Some 30 years after its ill-fated release, The Avatar still stands tall as a true document of epic metal, a mesmerising blend of magic and high drama, of mysticism and glory and sorrow and triumph. With influences ranging from KISS to Rush, Judas Priest to Oz and Black Sabbath to Led Zeppelin, Angel Of Mercy crafted a highly melodic – yet highly mysterious – sound which could be compared to early Manilla Road and demo-era Anvil Chorus. At heart, The Avatar is a brilliant example of raw talent and unbridled ambition coalescing into a wild and weird document of glorious times, never to be replicated again. In recent years, an original copy of The Avatar has fetched anywhere between $500 and $1200 on the second-hand market….but those days are over! This special 2CD edition has been remixed and remastered from the original master tapes and begs to be devoured by 80’s metal fanatics hungry for the rarest of the rare! With a real NWOBHM vibe, the tracks on The Avatar prove to be consistently varied, with enough melody, shred and metallic might (along with the occasional feral scream) to satiate the most discerning metal fan and while The Avatar will always remain a cult curio, Angel Of Mercy were undoubtedly a highly melodic band of skilled musicians.